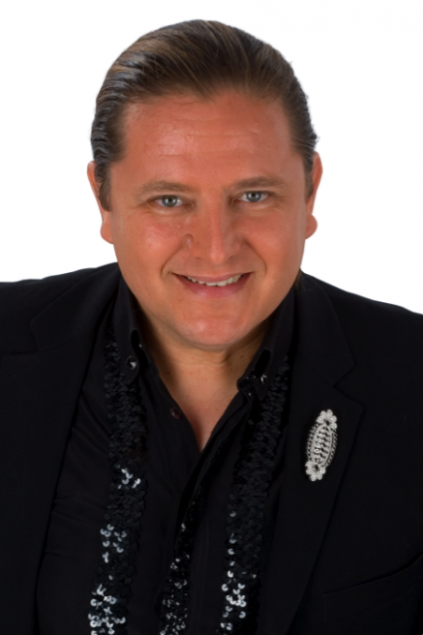 Patricio Moreno(46) is a professional clairvoyant/astrologist, who originally comes from Cordoba, Argentina, but now lives in Marbella. i-Marbella brings you an exclusive interview with Patricio. 1. Where were you educated? I have been educated partly in Argentina, partly in Spain, as I have been living here for 21 years. I achieved my degree in Fine Arts in Argentina and I also studied Business Administration. 2. How did you end up in Marbella and what do you like here? I travelled from Argentina to Granada to do an exhibition about Federico Garcia Lorca; once in Granada I came to visit Marbella; I liked it and decided to stay. I like the climate, landscape and the people. 3. What are you currently working on? Describe your typical day. I get up very early and I go for a walk along the beach. Then I start preparing the issues I will deal with on my evening TV show. Sometimes, I finish off some astrology work notes. After lunch, I start working with private consultations. 4. Where did your interest in astrology come? Where did you study? Clairvoyance and astrology are my way of life. They are part of my life. It has helped me and other people. Since I was very young I learnt to read tarot cards supported by the fact that I have been blessed with a special gift. In order to be updated with astrological changes, astrology needs to be studied on a daily basis. 5. Do you believe that we all have a destiny? Yes, and that we can also modify it by own wills as well as we can change events, good or bad one; to accept your destiny also helps you to live better. 6. What do you consider to be your biggest accomplishment so far? My biggest accomplishment is to be well known for reliability and honesty, after 20 years work. 7. What are your ambitions? My ambitions are to continue as I am, healthy and surrounded by my family and friends, the most important thing. 8. How do you spend your free time? I paint, draw, write, read, listen to music, go to the cinema and when possible, I travel. 9. Can you talk about some experiences how astrology or your skills as a clairvoyant have helped other people or change your own life? Astrology predicts what is going to happen, thus, knowing the stars' movement and their influence, we can modify certain attitudes and concepts to improve my life and the others. When people get obsessed about something they can harm themselves, thus, to anticipate what someone can do to us in our life can lead us to change our opinion or can help us to accept difficulties, differences or similarities that sometimes can get us closer or separate us from that person.After 19 years working on this I have learned and I have developed myself at the same time as my consultants, thus, gaining experience in helping future clients. 10. What are the main three questions that people ask? People always wants to know about love, health and money/work. Office: Calle Juan Fortuny 23, 1F, San Pedro de Alcántara.